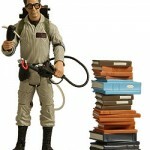 I ain’t afraid of no…symmetrical book stacking. 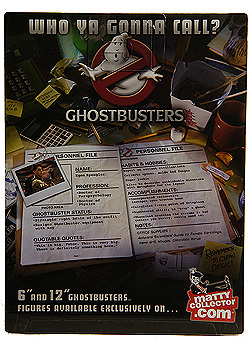 Ghostbusters 6″ Egon Spengler Figure arrives soon at MattyCollector and Matty has posted pictures. 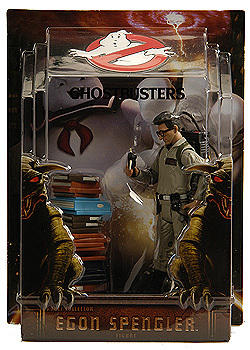 A slimed Egon was previously released as an SDCC exclusive. 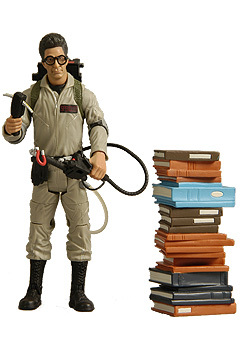 This new version of Egon comes unslimed with a “film accurate” PKE Meter, and a stack of books to recreate the famous book stacking scene from the first movie. Click the discuss button to see more pictures, and let us know what you think. Grumpy he is ungloved. So now I'm def only getting this for the PKE. 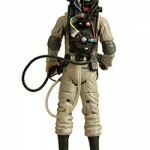 Because slimed Spengler was barely slimed. 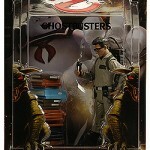 I don't have a slimed Spengler, so I'll be getting this one. The stack of books is pretty cool. PKE too. Anybody get there order in? Yeah, I broke down and got one. Wasn't sure I was going to, pretty upset about the included "accessory"; a stack of books. 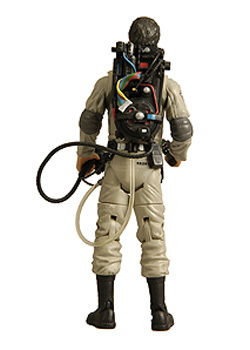 But in the end, I wanted an un-slimed version of Egon. 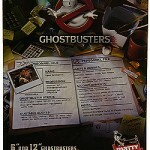 Looks like I'll be doing the same next month for Venkman.